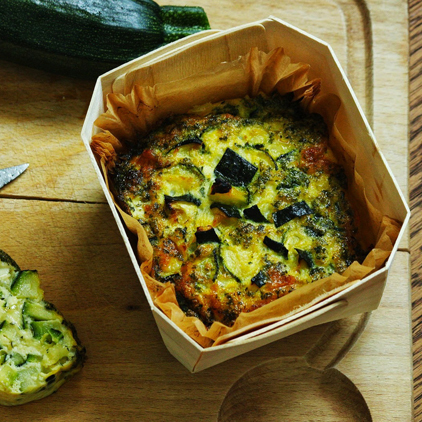 Rinse and cut the courgette into cubes. Peel and thinly slice the garlic. Heat the olive oil in a frying pan, add the garlic and courgette and fry gently for 10 minutes. In the meantime, preheat the oven. Beat the eggs and mix them with the diced mozzarella. Add the milk, herbs, courgette and mix.